That incident supposedly sent Wharton on a hunt for suitable places in and around Butte to create that public playground. 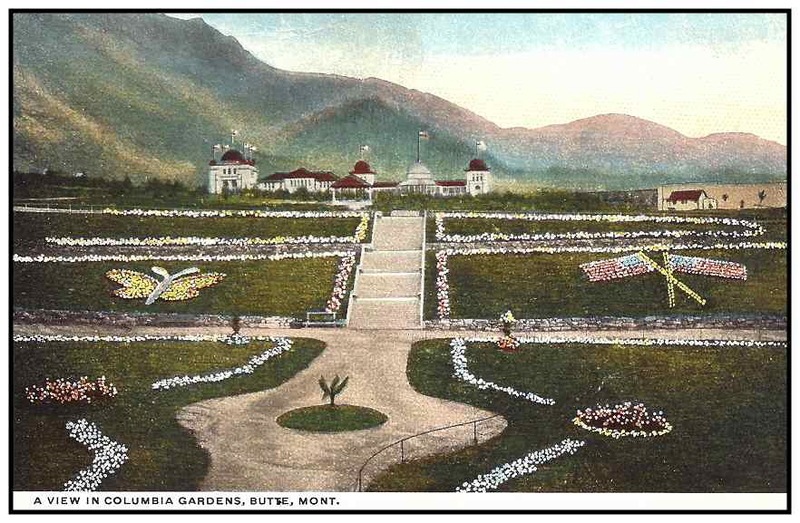 Eventually, Clark settled on the Columbia Gardens, a 21-acre family recreation park just east of Butte, at the foot of the mountains, which he purchased in March of 1899 for $30,000. Clark then expanded the Gardens spending more than $100,000 on the park which eventually encompassed 68 acres. 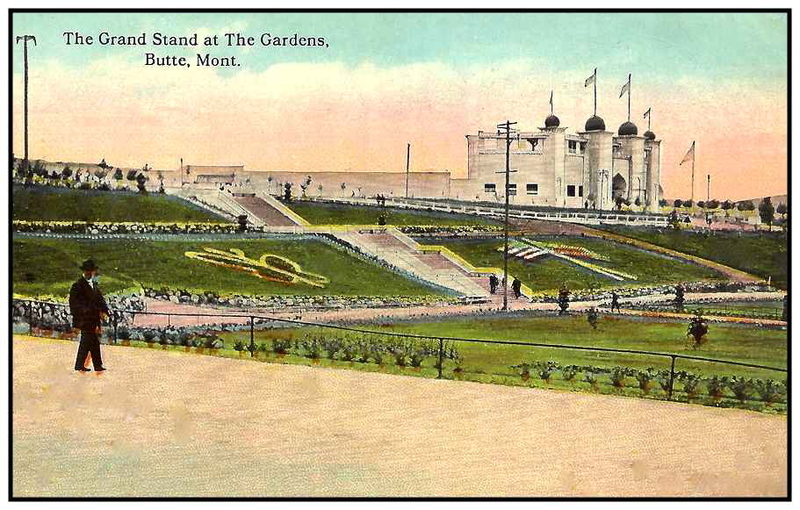 Construction began on a three-story grand Pavilion to serve as the centerpiece of the park, which was completed in 1900. It housed refreshment booths, kitchens, a café, an ice cream parlor, and a large dance floor. Wharton added several other features to the park in the following years. 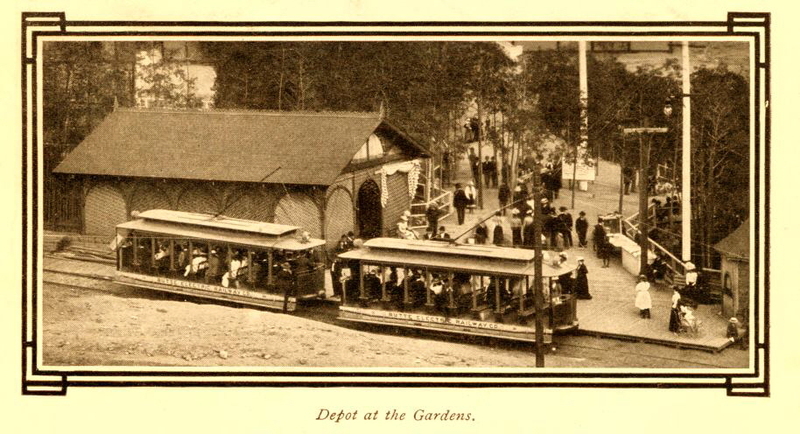 In 1902, a new trolley track was completed to the Gardens from downtown, and he purchased two new jumbo trolley cars to increase the number of people who could ride to the park. 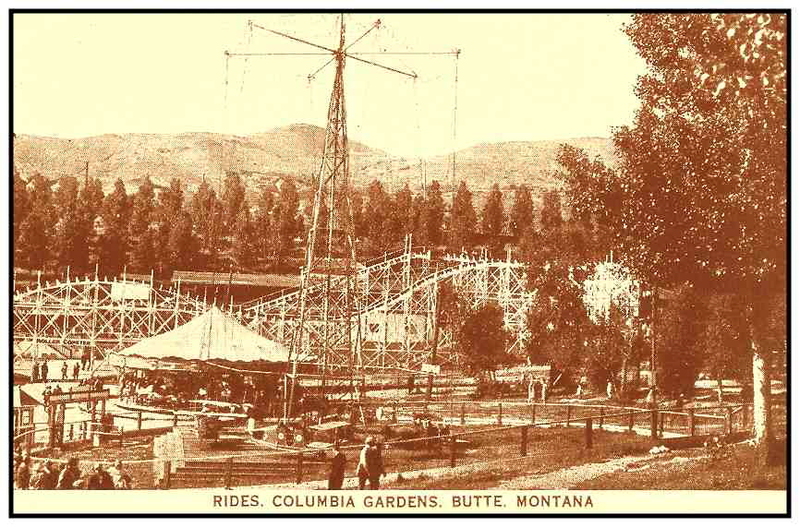 Clark ran his park at personal expense, refusing to charge admission and regularly offering special deals so that Butte residents, particularly children, could enjoy the park. A visit from President Teddy Roosevelt attracted more than 15,000 people in May 1903. 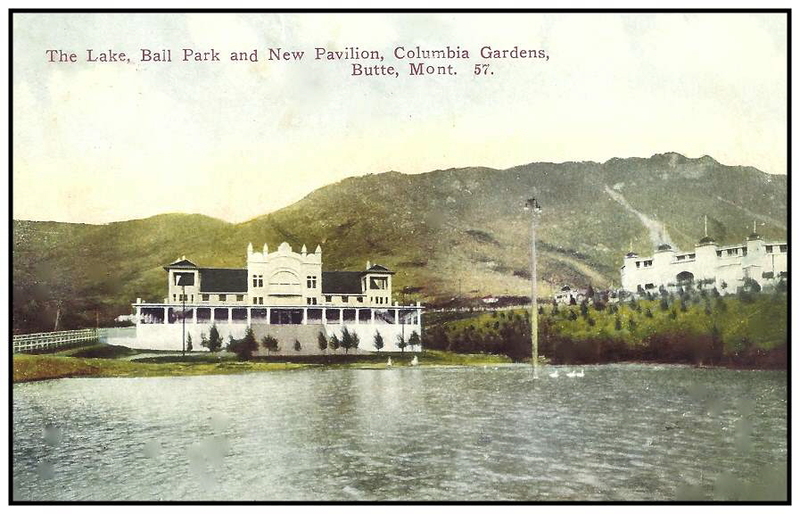 In 1907, the original Pavilion burned down, Clark had another one built and it was opened to the public by the beginning of the 1909 season. Miners Field Day, a company-sponsored event held every summer between 1914 and 1931, was intended to promote safety at work, at school, and in the home, but also included a wide variety of other activities. Children’s Day, when the company allowed everyone 16 and younger to ride the trolley or bus to the park for free and offered rides and concessions at reduced prices, was held every Thursday at Columbia Gardens during the summer. 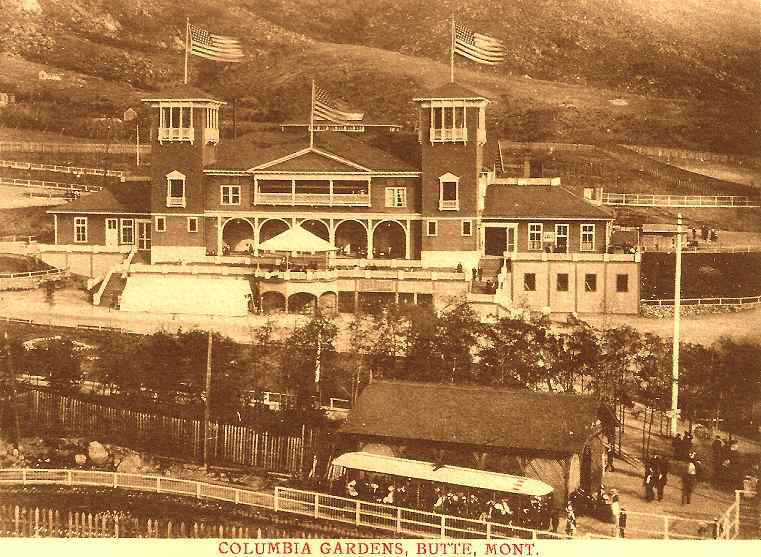 Baseball games drew large crowds to the park to root for Butte’s professional team or for a team sponsored by their employer that participated in competitive amateur leagues. After a mining explosion on July 8, 1917, on nearby Granite Mountain, 33 miners were reported killed and another 162 were reported missing in the next day’s newspaper. Columbia Gardens closed for several days out of respect for the mourners. 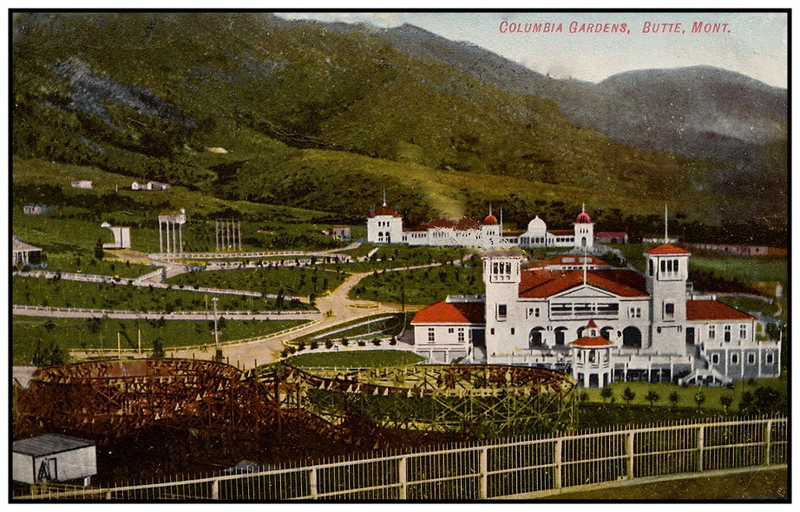 Early 1900’s view of the trolley depot and Pavilion at Columbia Gardens. The roller coaster, the carousel and the merry-mix-up can be seen in this view. The roller coaster was built in 1906 as a three level, side friction Figure 8 coaster. 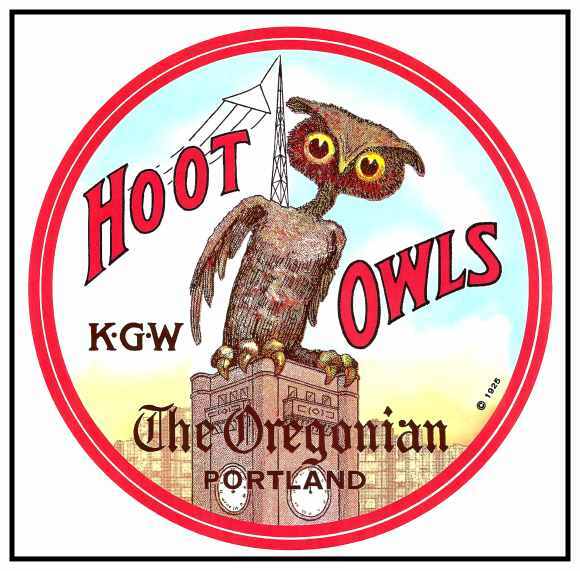 In 1918, it was reduced in size to two levels. Refurbishments in 1929 made major design changes to the coaster. The new Pavilion was built after the fire in 1907. 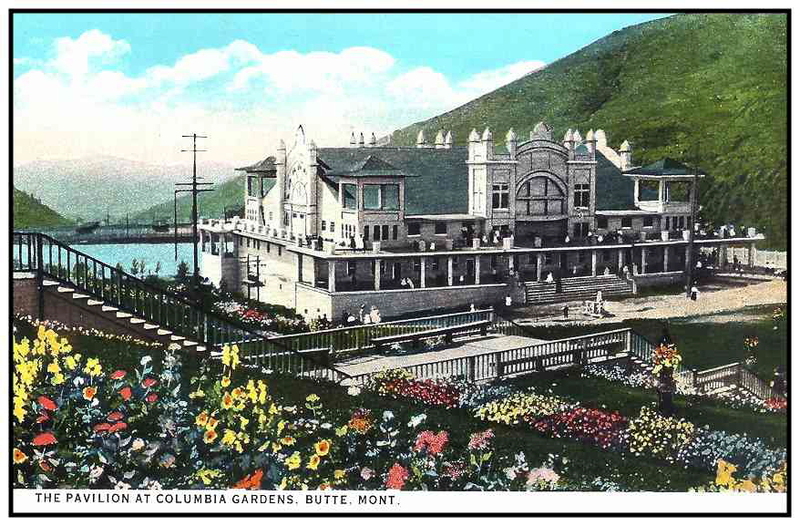 Baseball games attracted large crowds to Columbia Gardens and Butte had a professional team. The name Columbia was chosen because the area was discovered in 1876, the same year Philadelphia held the Columbia Centennial. 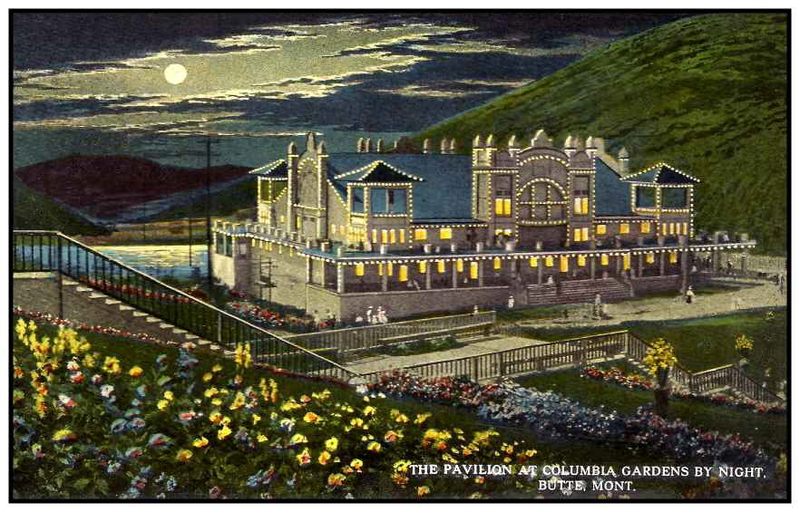 The new Pavilion opened in 1908. Newspaper columnist Ann Landers attended a banquet held in her honor at the Pavilion in 1960. Clark had spent hundreds of thousands of dollars developing, expanding and operating Columbia Gardens, and he did so without ever seeing a significant monetary return. 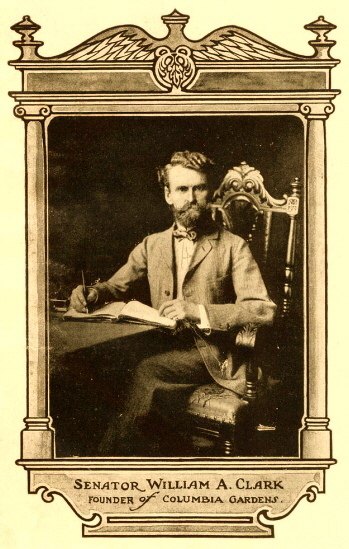 Following his death in 1925, his estate estimated that the loss was about $25,000 annually. In 1928, Anaconda Copper Mining Company agreed to purchase almost all of his Montana holdings for about $8.25 million. Although the company was chiefly concerned with Clark’s mining properties, it also acquired his daily newspaper, the Butte Miner, his hardware company, his timber millings operations, and the Butte Electric Railway Company, which ran about 60 cars on 38 miles of track in and around Butte. 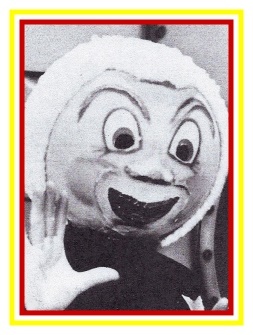 The railway company also included Clark’s amusement park. Not only did Anaconda decide to keep Columbia Gardens open, it also spent thousands of dollars over the next several years expanding and updating the park. The roller coaster was completely refurbished, a new carousel was designed by Allen Herschel in 1928, and a new biplane ride was installed. In 1937, Anaconda shut down railway service to the park and replaced it with a bus system, then drained the lake and created a parking lot in its place. Even with updated facilities and improved accessibility, Anaconda did not have any better luck turning a profit from the park than Clark. Nonetheless, for 44 years – through the Great Depression and times of war and peace, Columbia Gardens opened every summer. In 1973, the company announced plans to expand open pit mining under and around Columbia Gardens, which meant that the park would close for good at the end of the season and it was dismantled shortly thereafter. Nearly all remnants of the park are gone now.